MRO’s Rita Bowen, MA, RHIA, CHPS, SSGB, Vice President of Privacy, HIM Policy and Education, and Mariela Twiggs, MS, RHIA, CHP, FAHIMA, Director of Training and Education, discuss employee training and other safeguards essential for avoiding cyber attacks and breaches. At the recent National HIPAA Summit in Washington, D.C., Jocelyn Samuels, Director of the U.S. Department of Health and Human Services’ (HHS) Office for Civil Rights (OCR), and Deputy Director Deven McGraw, gave an update on the OCR’s compliance enforcement efforts, including the status of the HIPAA Audit Program, which launched Phase 2 in March 2016. 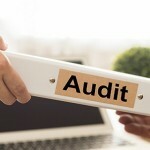 The OCR stated that they plan to complete 200-250 audits of Covered Entities (CEs) and Business Associates (BAs) over the course of three stages during Phase 2 of the HIPAA Audit Program. Currently, the OCR is in the process of evaluating documentation it received from the 167 CEs selected in June 2016 to participate in the first stage of Phase 2. Preliminary draft audit reports will soon be sent to audited CEs for their feedback, before the drafting of final reports. The OCR anticipates completing the first stage of Phase 2 by the end of 2016. In the meantime, the OCR plans to launch the second stage of Phase 2 – BA desk audits – in October 2016. The OCR will select 40-50 BAs from lists provided by stage one CE auditees to participate in stage two. Those BAs selected for the second stage will be evaluated on CE breach notification and compliance with the HIPAA Security Rule. Prior to the launch of the second stage, selected BAs will be invited to participate in a webinar hosted by the OCR, allowing the BAs to ask questions. Like stage one, selected BAs will have ten days to respond to the OCR’s request for documentation and will be given an opportunity to review and provide feedback on a draft of the report before the final version is completed. In the next few months, the OCR will initiate the third stage, which will consist of onsite audits of select CEs and BAs. The OCR does not yet have an exact number of audits for stage three, but anticipate conducting only a small number. After completing Phase 2 of the HIPAA Audit Program, the OCR will issue a public report, which will aggregate and address “lessons learned,” including best practices for BAs and CEs to implement. Even for organizations not selected for participation in Phase 2, the OCR strongly encourages all CEs and BAs to review and implement the audit protocols, as most organizations that have entered into resolution agreements and civil money penalties with the OCR have been cited for not having proper risk analyses and risk assessments in place. All of the audit protocols are available on a user-friendly spreadsheet created by MRO to assist with your organization’s preparation. To download the reference tool, please fill out the form below. MRO will hold an informal HIPAA Q&A during the upcoming AHIMA16 convention in Booth #1020. If you’re attending the conference, please stop by. 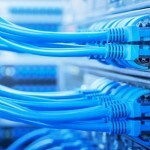 In today’s fast-changing healthcare environment, health information management (HIM) professionals encounter a variety of challenges, including Information Governance, standardizing disclosure processes across an enterprise, operating in an environment of disparate information technology (IT) and paper systems, managing data integrity, and navigating the sharing of electronic Protected Health Information (ePHI) and interoperability initiatives. These challenges, however, can be turned into opportunities for forward-thinking, tech-savvy HIM leaders to establish organizational leadership and develop innovative strategies. MRO will lead an educational session at the upcoming AHIMA Convention and Exhibit in Baltimore exploring some of these opportunities. Alongside our Release of Information (ROI) client Charlotte Walton-Sweeney, RHIT, Director of HIM for Lancaster General Health/Penn Medicine, we will discuss how HIM leaders can leverage technology to improve operational efficiency, increase security and mitigate breach risk. MRO research shows as many as 40 disclosure points in a health system, including HIM, radiology, billing offices and physician practices. Deploying one platform across a health system ensures standardized policies, procedures and technology are in place; improves compliance; and provides centralized oversight of ROI. Automating manual steps of the ROI process by enabling system integrations saves time and drives accuracy. Sophisticated ROI vendors off such system integration solutions, like MROeLink®. At its core, MROeLink is a direct synchronization between MRO’s PHI disclosure management platform, ROI Online®, and the ROI module within the Epic electronic medical record (EMR) system. It also includes a variety of other IT system integrations, such as an MPI patient lookup feature, which enables HIM staff to electronically access patient identifiers and demographics, and encounter history directly within ROI Online, eliminating the need for copying or retyping information. Implementing electronic delivery methods, such as portal technology, esMD for CMS audits, integrations with the U.S. Social Security Administration for disability determination, and Direct Secure Messaging all improve efficiency by reducing associated time and labor, and reduce risk by moving paper processes to secure, electronic methods. Technology can be used to enhance QA in the ROI process. For example, MRO’s record integrity application IdentiScan® is powered by optical character recognition (OCR) technology that “reads” medical records to identify comingled records, resulting in accuracy rates of 99.99 percent. Be sure to attend our session at AHIMA to learn more, and complete the form below to request a copy of a case study detailing how Lancaster General Health/ Penn Medicine partnered with MRO to improve ROI quality, service and efficiencies. In the September issue of the Journal of AHIMA, some of my colleagues and I authored an article outlining the Office for Civil Rights’ (OCR) guidelines for patient access to health information. Providing individuals and their designated personal representatives easy access to their health information is prescribed by the HIPAA Privacy Rule, and is one of the OCR’s most important mandates. While the OCR’s guidance did not change HIPAA regulations, it is recommended procedure for audits. The OCR is developing further clarifications and guidance to clear up challenges and confusion surrounding their frequently asked questions (FAQs) published in early 2016. During AHIMA’s 14th Annual Hill Day and Leadership Symposium, Deven McGraw, deputy director of the OCR, stated the initial clarification published on the OCR website still contained gray areas, stemming from the OCR’s desire to give patients more access to their health information, while promoting more engagement with health outcomes. One area of confusion is the difference between a patient’s right to access health information and third-party Release of Information (ROI) requests requiring the patient’s signed authorization. Requests for copiies of Protected Health Information (PHI) made by patients and their personal representatives – individuals with authority under applicable law to make healthcare decisions on behalf of the patient – do not need accompanying HIPAA-compliant authorizations. Only requests made by third parties must be accompanied by HIPAA-compliant authorizations. Covered Entities (CEs), however, can require patients and their personal representatives to submit their requests for copies of PHI in writing, though they may not require patients and personal representatives to come onsite to their facility to request in person, nor can CEs require patients to submit their requests via web portal or through the mail. CEs can also require patients and their personal representatives to complete a designated form when requesting health information, “provided use of the form does not create a barrier to or unreasonably delay” patient access to PHI. Additionally, it is not recommended for providers to ask patients for a description of purpose regarding the information requested; while it is not prohibited to ask, denying access based on the answer is prohibited. If a patient or their personal representative wants to direct a CE to send copies of the patient’s PHI to a designated third party, the request must be in writing, signed by the patient or the personal representative, and clearly identify the designated recipient and where to send the PHI. Other dos and don’ts of patient access to health information were summarized in the Journal of AHIMA article. As the OCR continues to define guidance for patient access to health information, it is important for providers to allow patients easy access to their PHI. Rita Bowen, MA, RHIA, CHPS, SSGB, Vice President of Privacy, HIM Policy and Education for MRO, and her colleagues Judi Hofman, Susan Lucci and Kelly McLendon, explore OCR patient access guidelines.